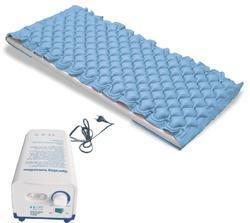 Providing you the best range of medical air bed mattress with effective & timely delivery. The Medical Air Beds with bubble pads are very easy to operate and have adjustable hangers pump to suit any type of hospital bed frames. Available with the bubble pads that allow more touch points, these deliver high-end therapy system as befits to the users as compared to the linear style pad. Better Compressor and easy to operate.